Eradication of the Very Knottedness (The Big Room) | Paint later, a painter's blog. 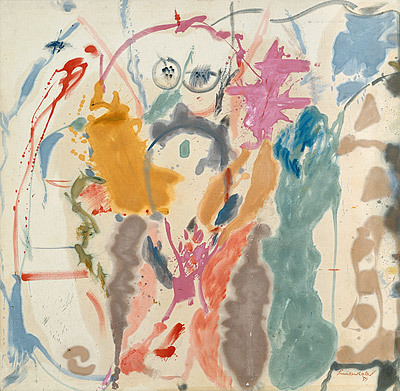 “Louis’ Veils was to see a smoothing out of experience, an eradication of the very knottedness that pulled the viewer in…” This phrase by Jed Perl in New Art City referred to the departure of the knottedness of De Kooning works. I called this the big room. There is no publication for this exhibition Abstract Expressionism at the National Gallery of Australia but there is information online. I like the layout and links between artists in each room so this is how the exhibition appears room by room. The paintings are immense. All I can say is the size of these works and the feeling when you are alone in the room with them is amazing*. 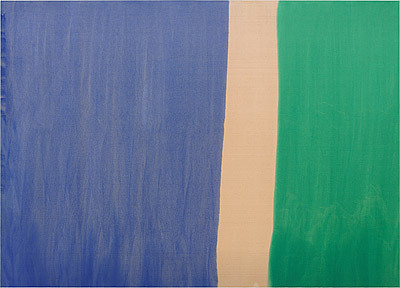 Morris Louis’ veil paintings wash over you with their space and the acknowledgement of Helen Frankenthaler as an influence is there on the wall without words. Standing looking up at Jules Olitski is like looking into a blood red space and I felt I might, devoid of gravity, slowly floated upward. *Louis’ Beta Nu painting is almost 3 metres high by 7 metres wide. I was lucky enough to get a personal tour of this exhibition a couple of weeks ago. I was the only one who turned up for it and had just over an hour with the tour guide taking me from Pollock and Krasner through to the “big room”. 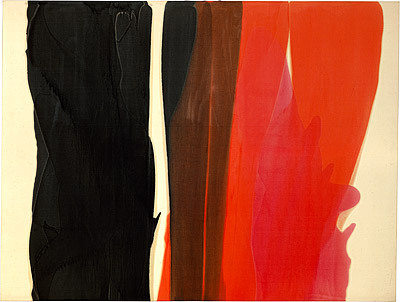 I have to say Morris Louis does nothing for me but I do have a liking for Frankenthaler. 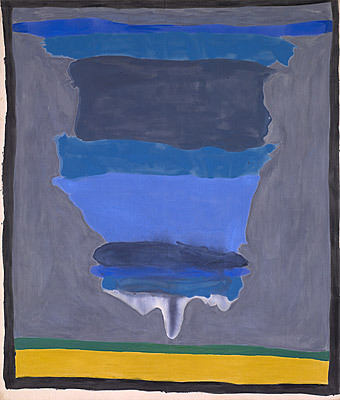 Pingback: The Yellow One | Paint later, a painter's blog.